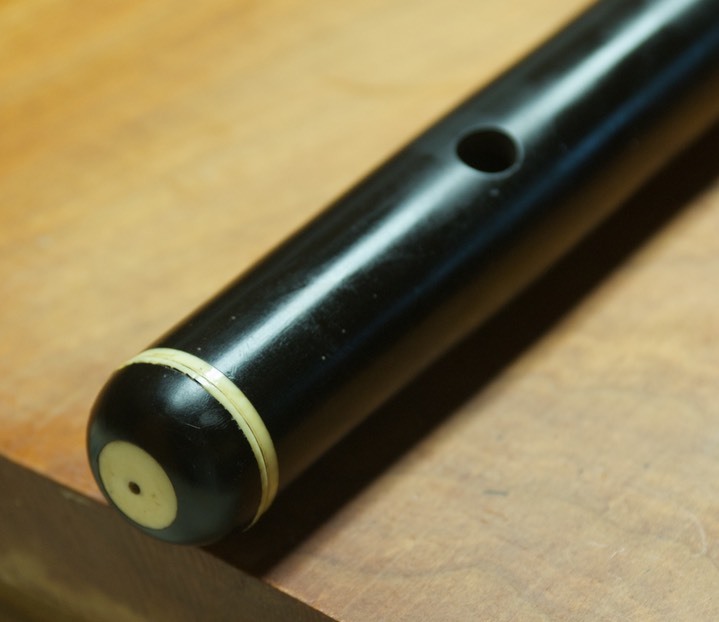 Noe Freres, Paris c. 1815– 1-key flute in Ebony with ivory rings. Very good condition. . Plays wonderfully with excellent cross fingerings as with my other 1-key by the same maker. 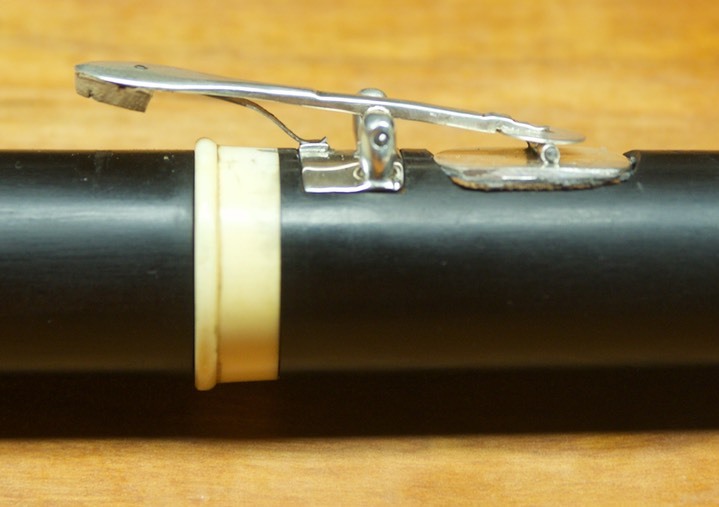 This one was originally supplied with a later replacement key. I had a new key constructed match that of my other Noe 1-key by Mathew Slauson. The key of of the type with a hinged pad (à bascule). 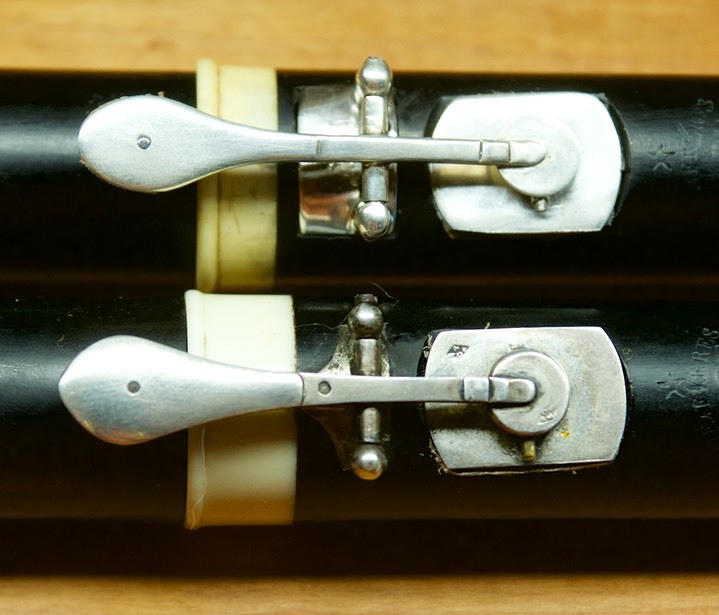 The flute differs from my other example in that it has a tuning slide instead of multiple corps-de-rechange. 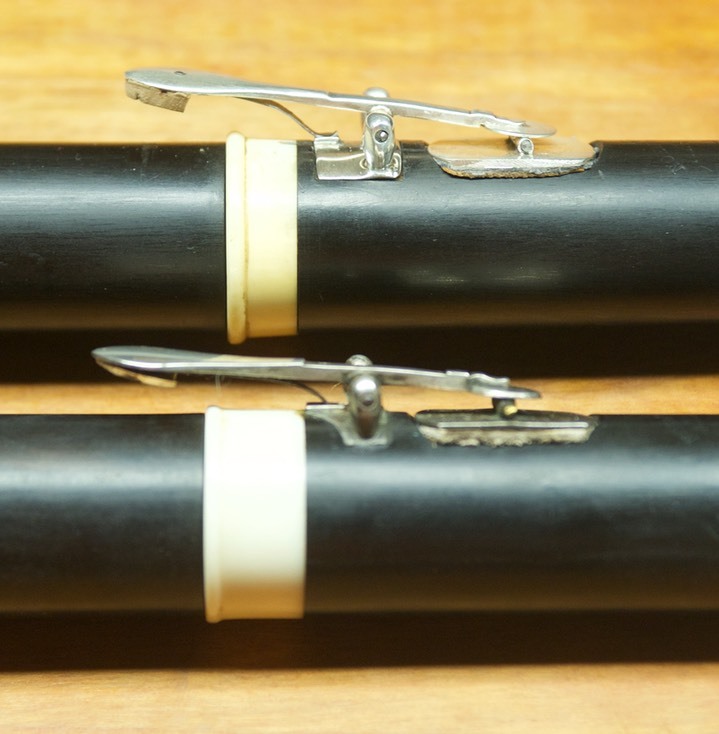 The later photographs are of my two Noé Freres flutes together.